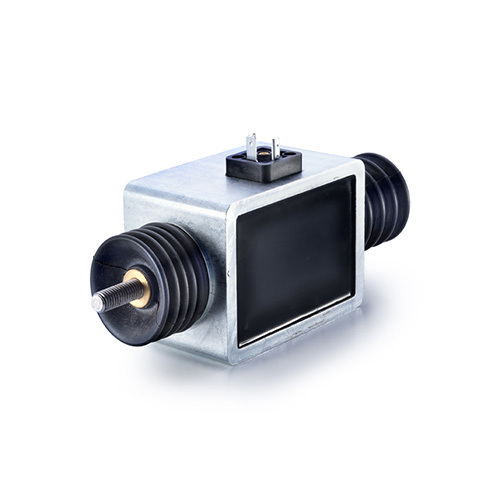 Linear solenoids of the Kendrion Classic Line are universal and cost-effective actuating solenoids ideally suited for use in precision engineering and industrial applications. 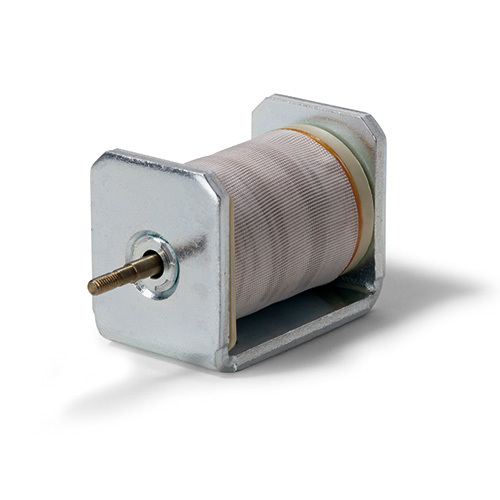 These solenoids are used in the transportation industry, automation engineering and materials handling. Particular advantages are the individual mounting options, the maintenance-free armature bearing and the compact design. The mode of operation of the solenoid is based on the force exerted on ferromagnetic bodies in the magnetic filed. Electromagnets transform electric energy into mechanical kinetic energy. Basically, the stroke movement takes place from the stroke starting position to the stroke stop position (active direction of movement), while the armature reset is accomplished by external forces, e.g. by spring, weight or magnetic forces (passive direction of movement). The solenoids can be installed in any position, but the force transfer should be in axial direction only. The power indicated is reached at 90% of the rated voltage and in warmed-up condition. 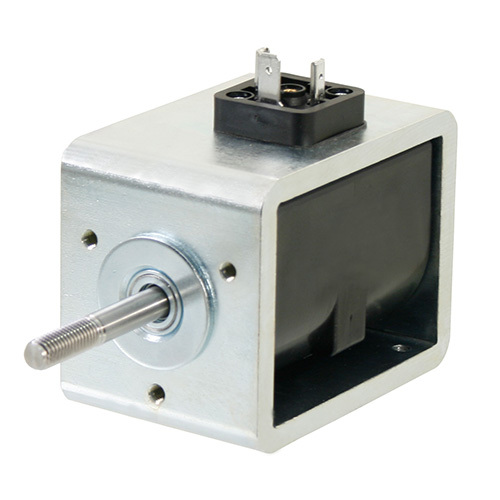 The values for the duty cycles are reference values and apply for rated voltage, warmed-up condition and load with 70% of the magnetic force of the device. All products are manufactured and tested according DIN VDE 0580/07.2000 and comply with RoHS. The solenoids listed here include both standardized products and special models. Please contact us about minimum order quantities and delivery times. Different voltages are possible. RoHS: Restriction of Hazardous Substances.